29 Jan 2019 --- The UK government has launched a consultation to strengthen allergen labeling laws. British Environment Secretary Michael Gove unveiled proposals to overhaul allergen labeling laws and give consumers more transparent information on the food they buy last Friday (25 Jan). Subject to the consultation launched last week, food outlets selling pre-packaged food directly for sale could be required to follow new rules designed to give the UK’s two million food allergy sufferers greater confidence in the safety of their food. The moves follow the tragic death of Natasha Ednan-Laperouse, the teenager who died after suffering an allergic reaction to a Pret a Manger baguette. In October 2018, FoodIngredientsFirst reported that the UK's Institute of Food Science & Technology (IFST) was calling for a review of allergen labeling legislation in the wake of the death of Ednan-Laperouse onboard a flight after eating a the baguette containing sesame. Under current rules, food prepared on premises in which it is sold is not required to display allergen information on the package – but the newly proposed rules could go as far as seeing full ingredients labeling required by law. “We want to ensure that labels are clearer and that the rules for businesses are more consistent – so that allergy sufferers in this country can have confidence in the safety of their food,” explains Gove. Many businesses are already bringing changes on board independently, and in the meantime, they should continue doing all they can to give consumers the information they need, says Gove. The proposed reforms cover labeling requirements for foods that are packed on the same premises from which they are sold – such as packaged sandwiches or salads made by staff earlier in the day and placed on a shelf for purchase. Currently, these foods are not required to carry labels and information on allergens can be given in person by the food business if asked by the consumer. Mandating full ingredient list labeling. Mandating allergen-only labeling on food packaging. Mandating “ask the staff” labels on all products, with supporting information for consumers available in writing. Promoting best practice around communicating allergen information to consumers. “In recent years choice, trust and availability have improved for people with food allergy. We want those improvements to continue, so it’s important that we hear from everyone affected, as part of this consultation. We’re determined to keep on making life better for you,” Hancock explains. The British Environment Secretary and Food Minister David Rutley met allergen groups and retailers late last year to discuss the proposed options around allergen labeling laws. 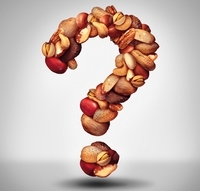 Many food businesses have already begun to implement changes to their provision of allergen information and the FSA will continue to provide food businesses with guidance on allergens. In September 2018, the FSA launched Easy to Ask, a campaign to empower young people to ask food businesses about allergens when eating out so they can make safe food choices. Brexit breathing space: Short delay gives industry more time but is it merely a stay of execution?